Enjoy this nature lovers dream home! 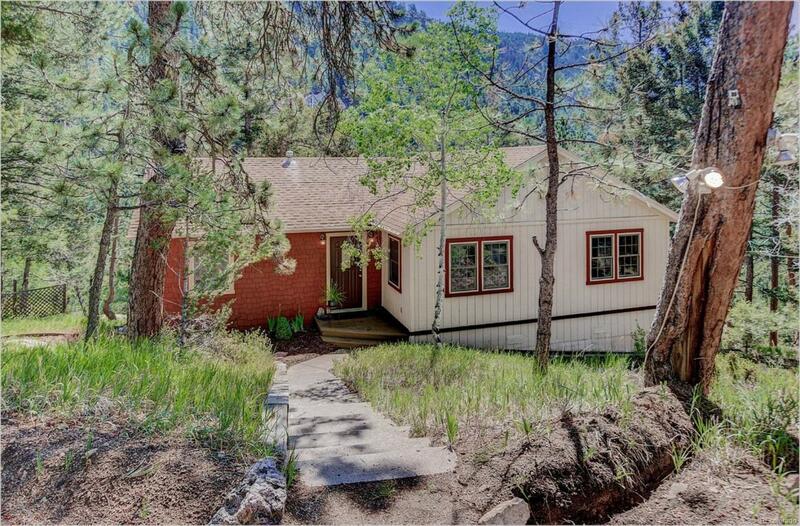 Designed to take advantage of propertys gorgeous views*spectacular rock outcroppings*intermittent stream*abundant animal & bird life*2-level wrap decks*lower walk-out*hot tub with Pikes Peak views*2-car enclosed carport*storage shed. Cozy interior w/2 gas log fireplaces (upper & lower)*flowing floor plan*spiral staircase accessing lower level*lower level for studio/office/rec room, etc. w/storage room adjoining*abundance of windows invites the outside*laundry room with working sink on main level. Fall in love with this charming retreat, indoors and outjust 30 minutes from Denver!